Though public libraries may no longer be at the top of your thoughts when it comes to the literacy of your child, don’t forget that they are a free and valuable resource. Typically, every sizeable town has a library and each offers a cornucopia of information, entertainment, events, business and reference materials. But you’ll never know what wonderful and magical places they are until you prepare for your visit. If you and your child have never gone to the library together before, set aside at least two hours for the adventure. Talk about it with your son or daughter and show your enthusiasm; however, don’t be dismayed if your child is hesitant about the journey. Some kids are naturally less eager than others to try something new. 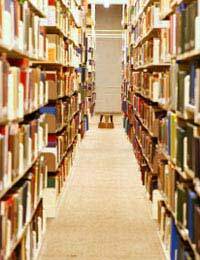 To take full advantage of your public library, you will want to have a library card. Registration for your card is free and, in some cases, can be taken care of online. However, it’s important for you to get to know your library fully, so you may want to register for your card in person rather than through your home computer. You can also get a card for your child; typically, libraries have a “children’s” section and kids love to borrow books, games, puppets, puzzles and educational DVDs or CDs. It’s important to remember that a twenty-first century library offers much more than simply books or newspapers on microfilm. Today’s libraries often have plenty of periodicals from around the globe, computers that are connected to the Internet, foreign films unavailable at the local video rental store and many more treasures. Therefore, it’s up to you to investigate all the possibilities. While you’re visiting your public library, ask a librarian or assistant if he or she has time to give you a quick tour of the facility. That way, you and your child will feel comfortable in the surroundings. Do your researching with your child. Walk around the library together. Grab a flyer that details upcoming events. And ask questions. Your child should see how comfortable you are at the library; this will make him or her excited about reading and learning to read. Some public libraries have a multitude of child-related events throughout the year; why not try one or two of them to see if you and your son and/or daughter find them interesting? These can be anything from story times to art projects to movie nights. If you have an idea in mind for an event you’d like to spearhead, don’t be afraid to ask. Librarians may be open to suggestions and you might find yourself becoming a regular volunteer at the library! In the end, have fun learning more about your public library! It’s a place for all ages, all stages and all abilities. You just might discover that your child is a bookworm at heart!